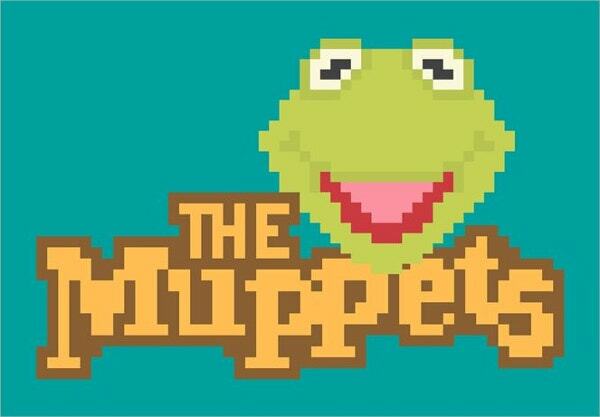 Pixel Arts are Digital Arts that are designed using Raster Graphics Software. When creating them, you will edit your images on the given pixel levels. Pixel arts vary in texture, size, shape and color. They are also compressed and saved in file formats in order to preserve algorithms. This art is often stored in PNG and GIF files rather than JPEG. They are divided into non-isometric and isometric categories. This art is useful in console games. 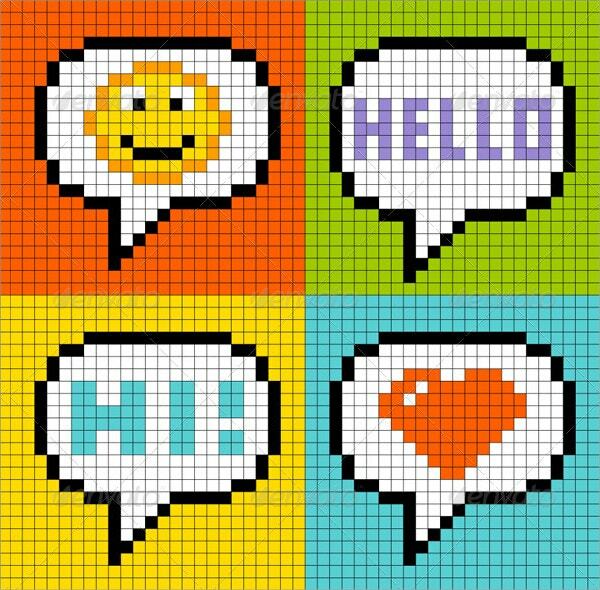 The 8-Bit Pixel Online Messaging Bubbles are vector illustrations featuring several emoticons including a love heart, smiley faces and greetings. This layered communication template contains vector EPS graphics for single end users. 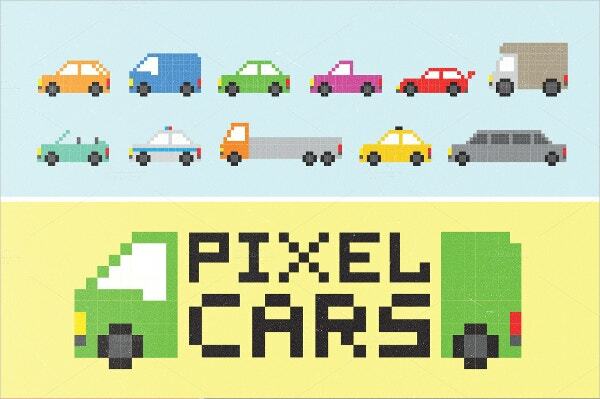 Pixel art cars are available with standard and extended user licenses. It is a vector template with EPS files containing a set of cars that vary in design, color and size. 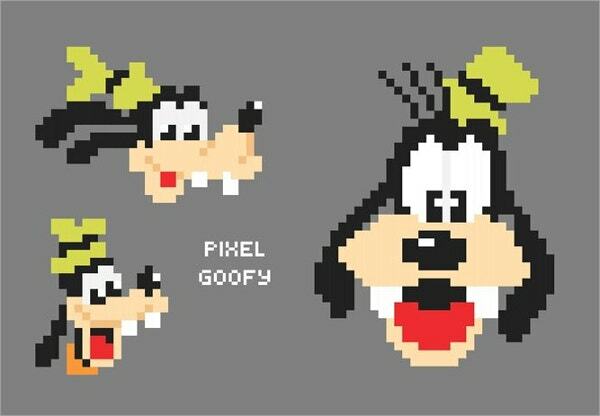 For perfection of Ghilbi Pixel Art, Ps and Ai tools were used. You can edit and customize them on Apple IMac and Tablets. 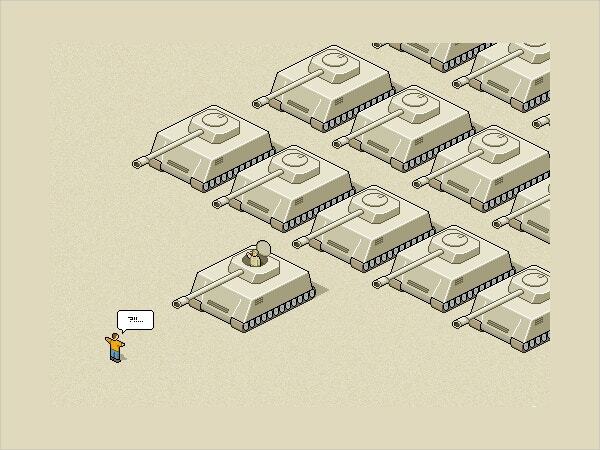 The artwork incorporates games, pop culture and movies. 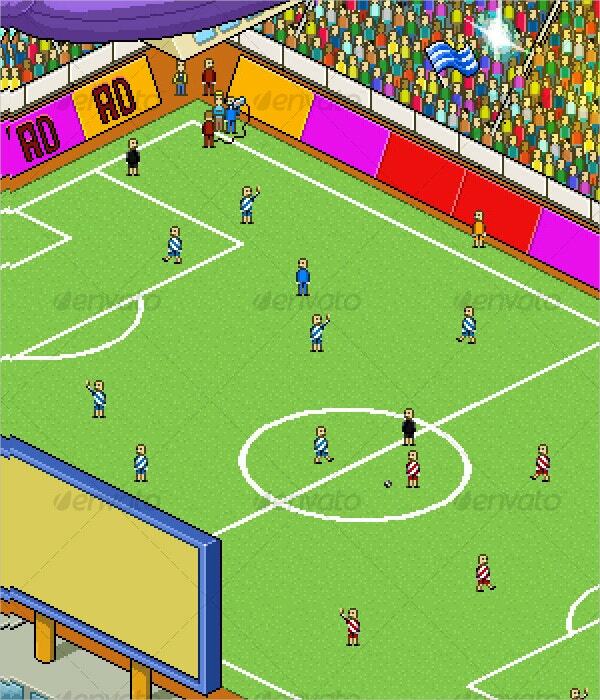 The Pixel-Art Football Stadium is a perfect illustration of a stadium during a match. 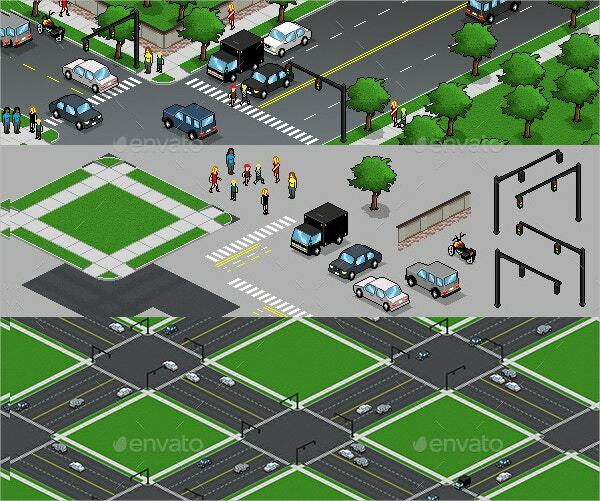 It is colorful, isometric and licensed as a single end artwork featuring layers and Photoshop PSD file graphics. 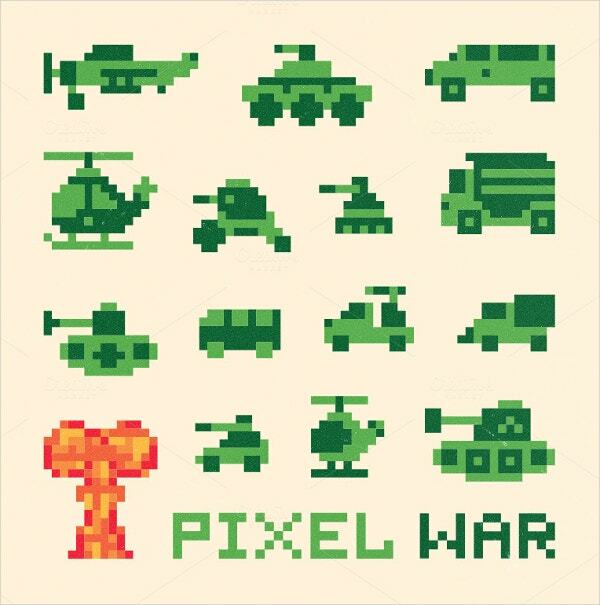 This EPS 10 Vector file brags about its pixel art war equipment. It is easy to use and edit using Corel Draw and Adobe Illustration. Luckily, its license is extended. 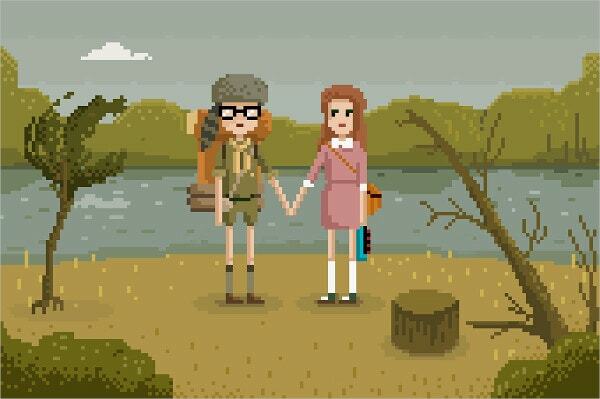 This 8-bit pixel art is beautifully designed for creative gamers. It allows you to select a character for gaming. 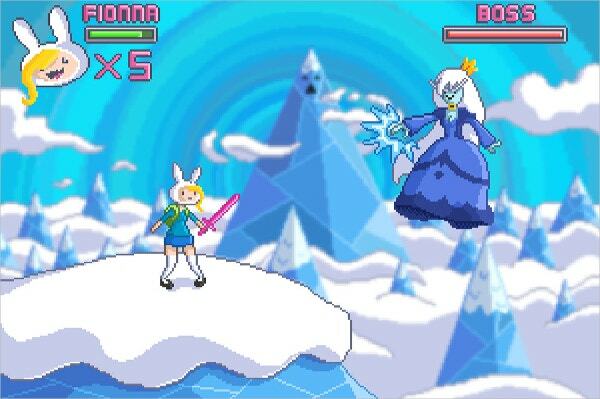 It features unique vector illustrations of duos in different environments. 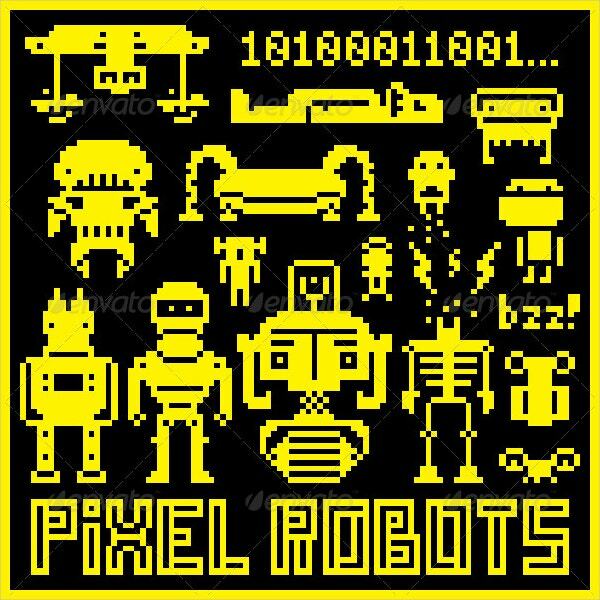 Pixel Art Robots are vector illustrations designed on a yellow background. These retro robots are created using Vector EPS, Illustrator and AI. They feature Photoshop PSD and JPG images that are easily editable. 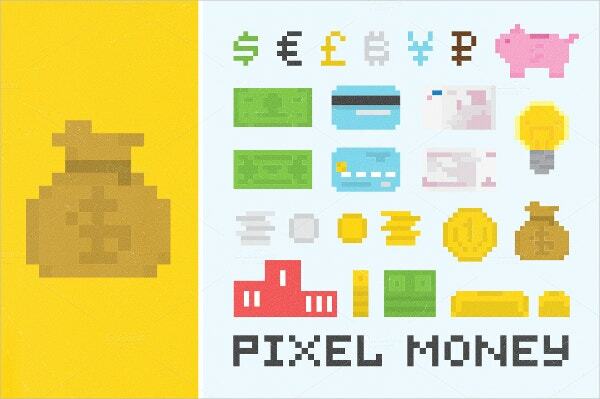 You cannot beat great moneymakers without the Pixel Money Maker set. This Vector file with EPS files has all money icons. It is editable and customizable with Adobe Illustration and Corel Draw. It is impossible to celebrate the Halloween season minus pixel pumpkins. 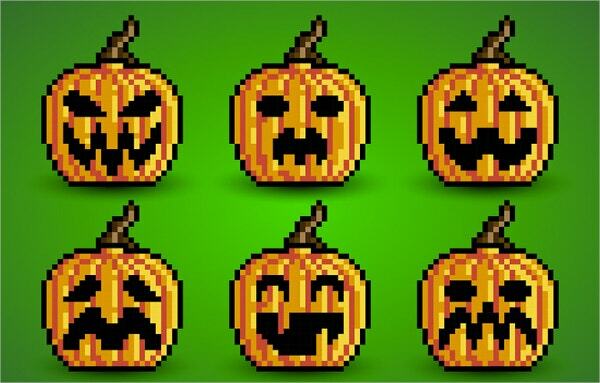 In addition to lantern pumpkins, this colorful and artistic file contains pixel oranges with faces. You can edit and customize it for shopping. 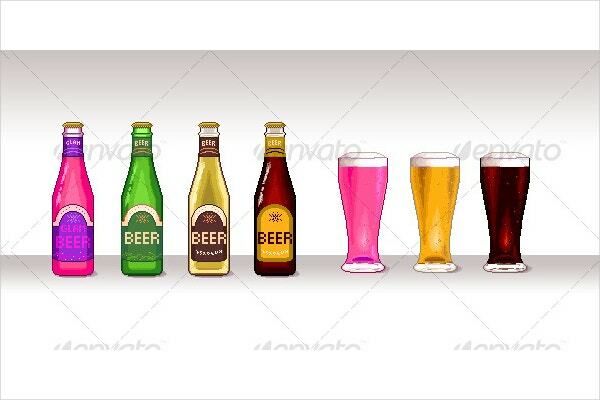 Pixel Beer Art contains Beer Bottles and Glasses of 46 by 156px and 53 by 121px respectively. This layered and regularly licensed file contains Photoshop PSD and Transparent PNG graphic files. 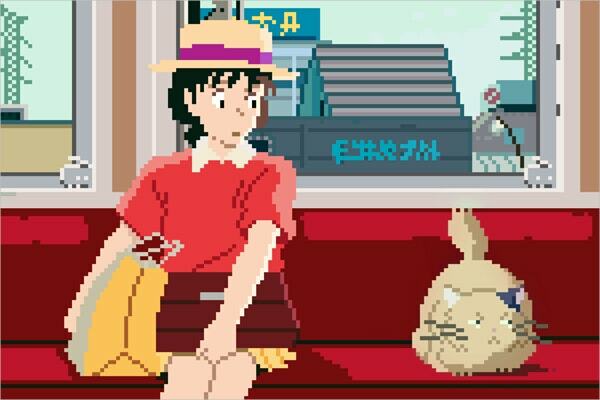 You should not shun from using pixel art simply because it is antique. Retro-games and those updated into super high resolution, rely on this art. Furthermore, it is still useful on DS, IPhone, Flash games and 2D games. 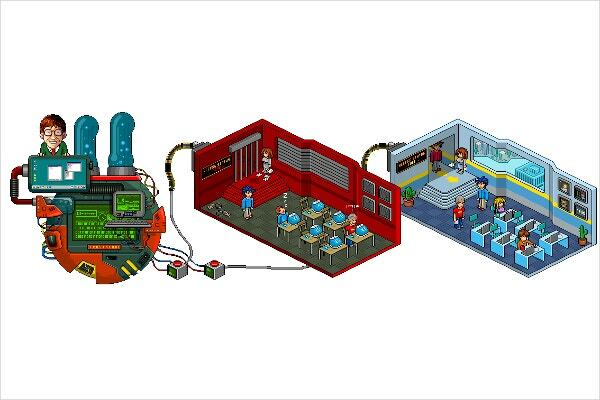 It helps you to create realistic characters and weapons that make gaming simple and fun.